McLaughlin got the jump from the dirty side of the grid, charging up the inside of polesitter Chaz Mostert to grab the lead. Mostert couldn't even hold on to second, being held out wide at Turn 1 by McLaughlin allowing Jamie Whincup to sneak through on the way to Turn 3. 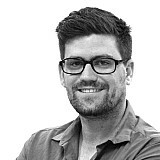 It was only a brief stint in second for the seven-time champ, though, Mostert making a clean-cut pass on the Red Bull Holden into Turn 3 on the third lap. By then McLaughlin had already skipped away, however the race was naturalised a few corners later when Macauley Jones ended up in the wall on the run to Turn 14 after tangling with Simona de Silvestro and Garry Jacobson, resulting in a Safety Car. 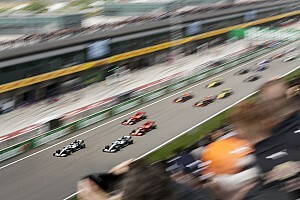 The race was restarted on Lap 7, the two leading Mustangs quickly bolting at the front. While Mostert was able to hold on to the back of McLaughlin, he was unable to put any meaningful pressure on the leader, McLaughlin ending up a winner by 0.8s. "[It feels] very good," said McLaughlin. "A great job by everyone. I feel like I'm nailing those starts, it's making me feel really good. "It's just a great start to our year." 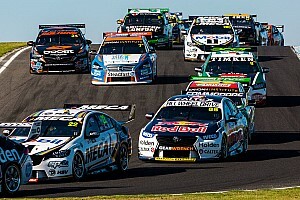 Whincup, who had come under some pressure from Cam Waters right before the Safety Car, managed to pull away after the restart and finish third, Waters and Will Davison coming home fourth and fifth. Mark Winterbottom was the second-best Holden in sixth, followed by Tim Slade, David Reynolds, Lee Holdsworth and Nick Percat. Shane van Gisbergen's miserable weekend ended on a fitting note, the Kiwi buried down in 22nd. 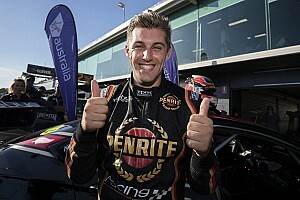 He had run as high as fifth in the early stages of the race, before tangling with Fabian Coulthard on the second lap. The drama started through Turns 11 and 12, the Red Bull Holden driver short-cutting the second part of the complex before locking his right-front into Turn 13. 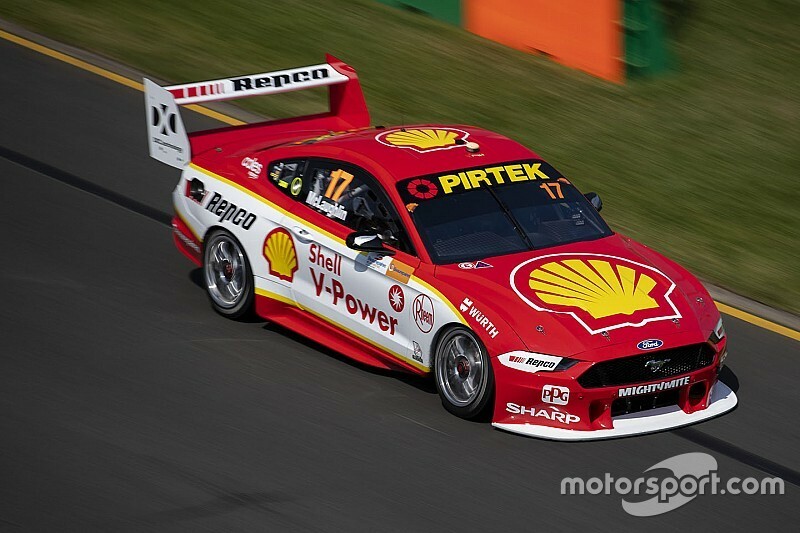 That helped pitch him back into Coulthard's door, the Penske Mustang sent down the escape road and left in 21st, as van Gisbergen was shuffled back to 14th. He was then hit with a 15s time penalty, which left him outside the Top 20 by the end of the race. 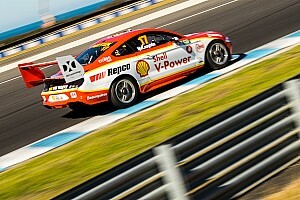 Coulthard recovered to finish 15th. McLaughlin will take a 31-point lead over Whincup into the third round of the season in Tasmania, while van Gisbergen, who was second coming into Albert Park, is now 11th in the standings, 175 adrift.